Finally there is a true floor soundproofing product for use under carpet that will take the place of a carpet pad. Privacy Performance Carpet Underlay™ has been specifically designed to soundproof under carpet for both footstep (IIC) noise and airborne (STC) noise. 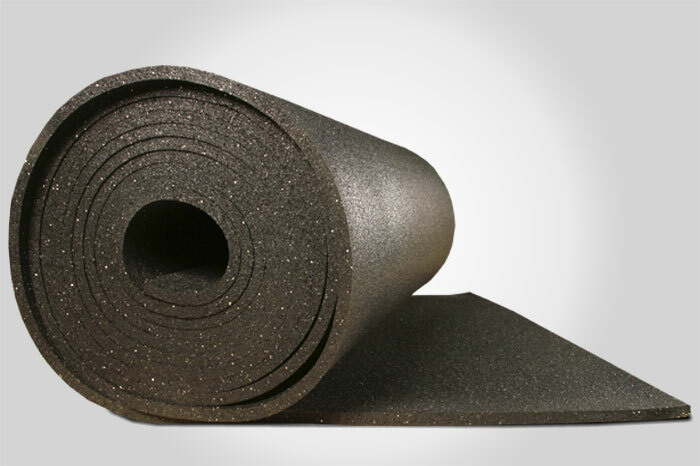 At only 3/8” thick you can use our soundproofing carpet underlay as a substitute for regular carpet pad. We offer only products that will exceed the minimum requirements; we do not think you should have to settle for average results. Anytime old carpet will be replaced you can measurably improve the soundproofing of your floor by using Privacy Performance Carpet Underlay™. The challenges of today’s TV/Stereo systems, neighbor noise and even noise from your own family can be easily reduced with any of the Privacy Floor Underlayments offered by Sound Isolation Company. Whether you are doing a renovation or new construction you can count on remarkable results in your floor soundproofing project. Our Privacy Performance Carpet Underlay™ combines the noise-blocking effect of 1 lb per square foot soundproof barrier with impact-absorbing 1/4" premium foam backing to provide excellent results under carpet flooring.